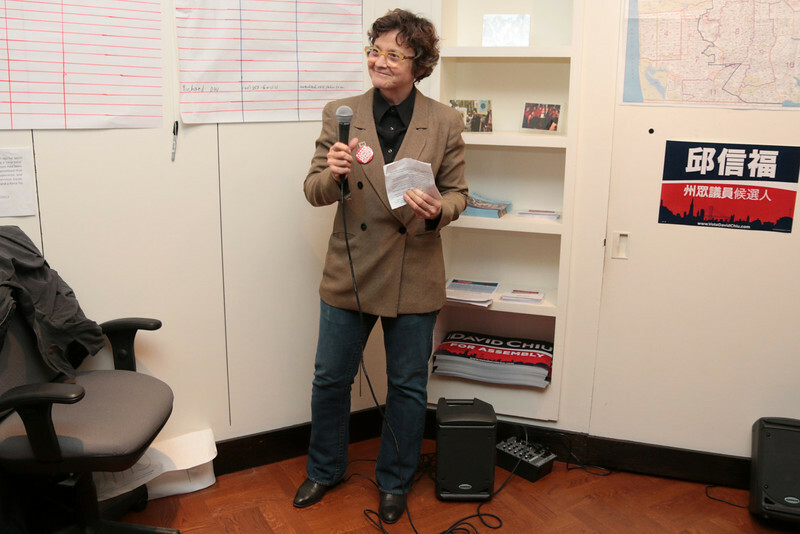 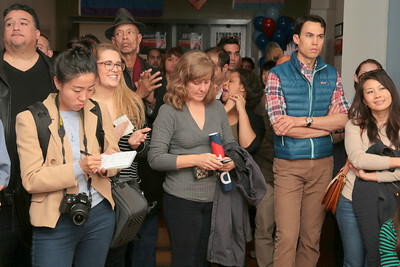 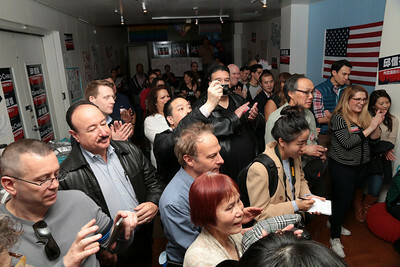 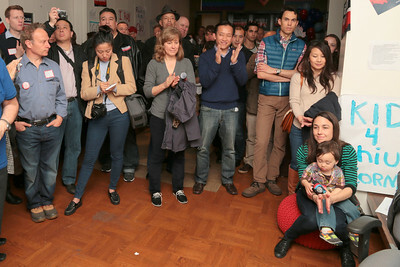 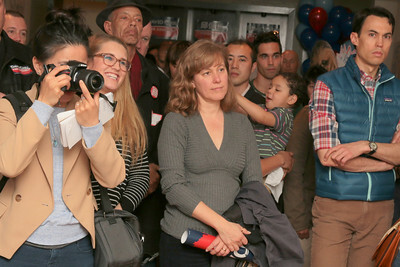 On March 1st, 2014, District 3 Supervisor and Board of Supervisors President David Chiu opened his campaign headquarters on 549 Castro Street, San Francisco. 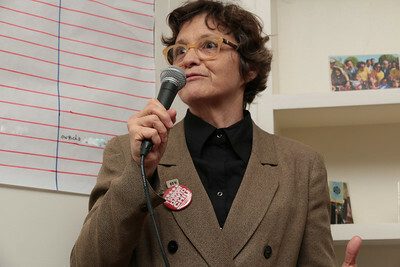 Endorsements were made by a number of notable individuals including Debra Walker, Leah Taylor Pimentel, Scott Wiener and others. 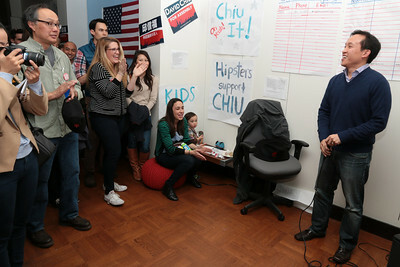 David also addressed his supporters to much applause and enthusiasm. It was a good office opening and a good start. 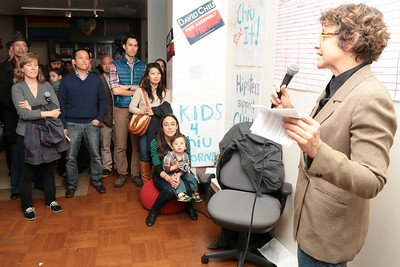 David is running for the California Assembly District 17, representing the Eastern half of San Francisco. 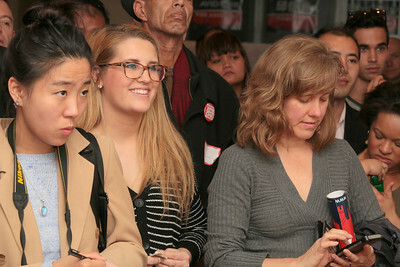 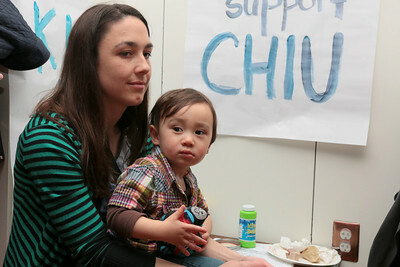 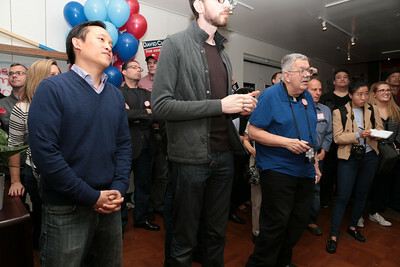 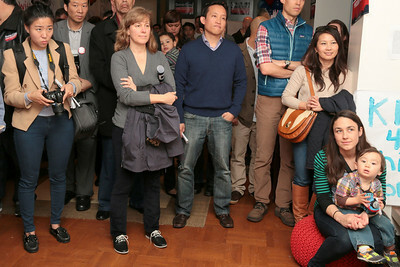 Heidi Machen standing to left of David Chiu. 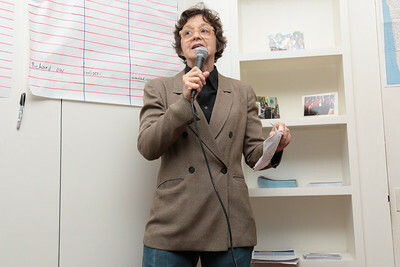 Right, gray shirt, Heidi Machen, an attorney focusing on regulatory and employment law. 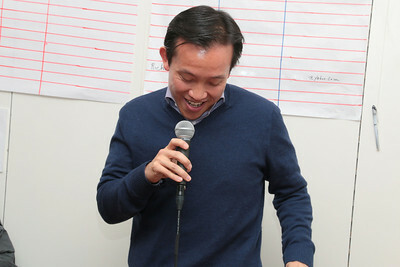 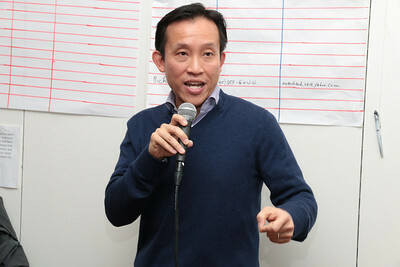 Warren, a labor representative, endorsing David Chiu. 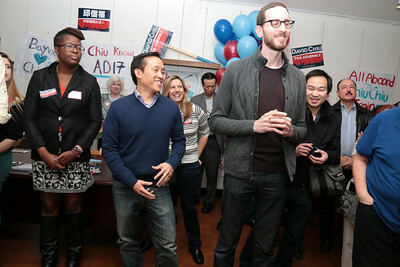 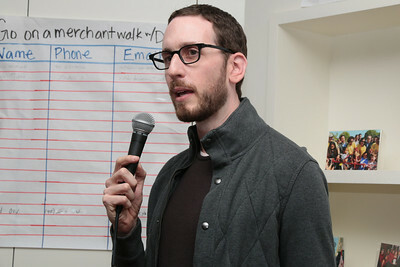 Left to right, Jacquelyn Omotalade, David Chiu, Scott Wiener﻿. 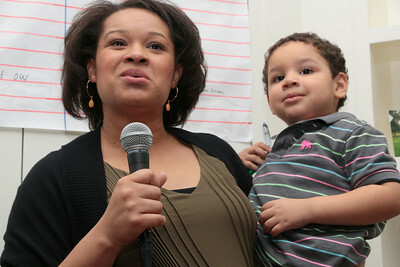 Leah Taylor Pimentel and son. 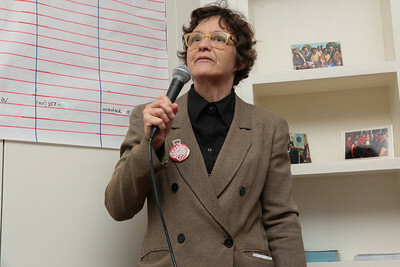 Leah gave a speech endorsing David. 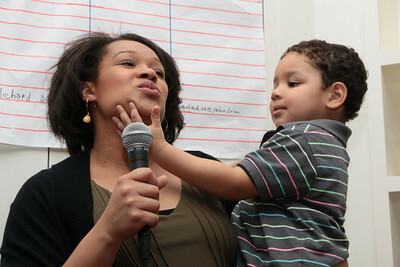 One spreads the good news and the other seeks affections and attention. 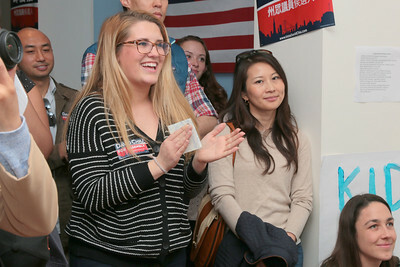 Both are happy and well. 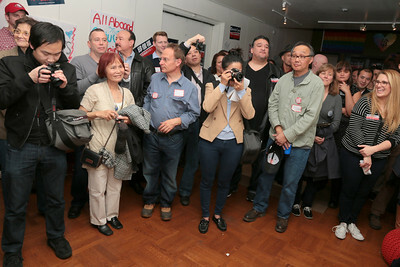 David Chiu addresses his supporters to great applause and enthusiasm. 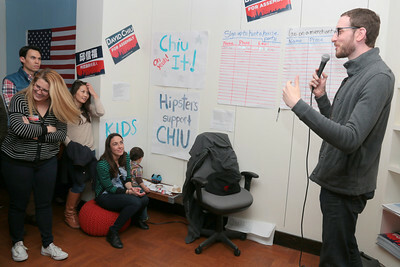 David Chiu was a bit humbled at the huge and intense outpouring of support from his fans. 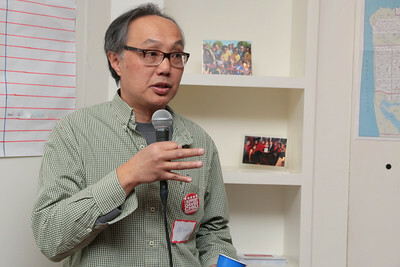 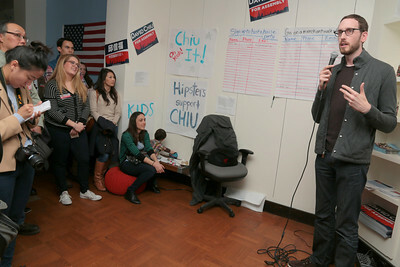 Candidate Chiu addressing his supporters. 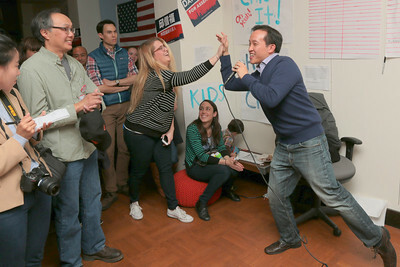 David Chiu celebrating with a member of his campaign staff. 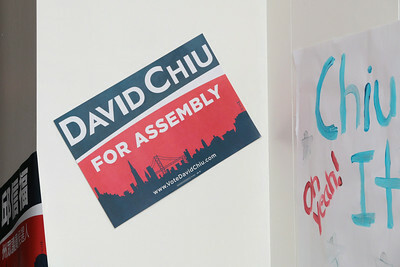 Debra Walker, a long time and talented artist as well as community activist, endorsing David Chiu for his run for the California State Assembly seat AD17.